Carly Mandel is an artist working in Brooklyn, NY. The artist grew up in St Louis, MO, and received her degree from Pacific Northwest College of Art in Portland, OR in 2015. 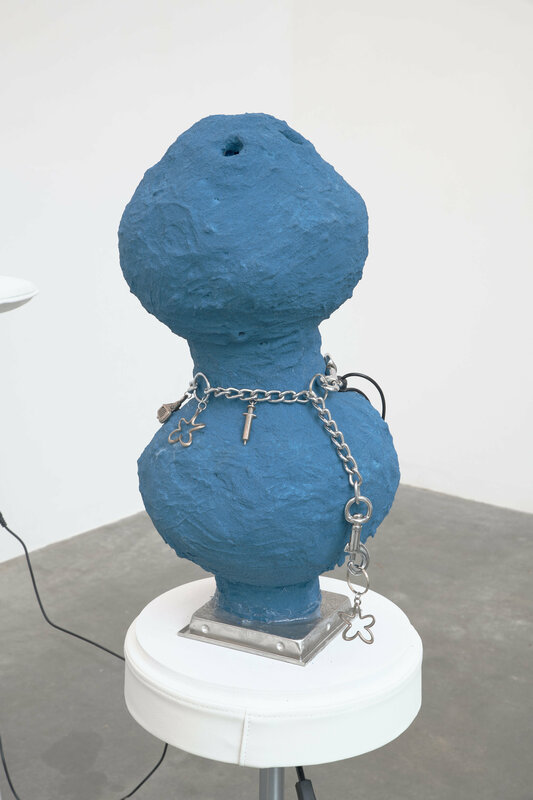 Her work highlights the experience of being augmented by medicine and synthetic capital objects, including sculptures that focus on capital representations of survival; commodities illustrating the inability to thrive independently, and the subversion of existence. Her sculptures and videos have been exhibited nationally and internationally, from the U.S. to Brazil, Germany, Mexico, and Canada. Mandel was the recipient of the emerging artist grant from the Kennedy Center in Washington, D.C. in 2017, and was the subject of a 2018 interview in BOMB Magazine by arts writer Kerry Doran.